The kitchen ventilation and smoke exhaust system is now an indispensable equipment in every hotel kitchen. Because the kitchen ventilation and smoke exhaust system for improving the working environment of the kitchen, improve the efficiency of the kitchen, has a very important role. But many people reflect that the kitchen ventilation and smoke exhaust system is not particularly easy to use, kitchen ventilation and smoke exhaust system life is particularly short, about a year is not very good to use. The following edition will give you an analysis of the specific problems of kitchen ventilation and smoke exhaust system and the corresponding treatment methods. Is there a problem with the kitchen ventilation and smoke exhaust system? There's nothing to worry about. Here's a way! Problem 1: In the kitchen ventilation project, the power consumption of exhaust fan and oil fume purification equipment is large, and the actual effect of exhaust fan is not good. 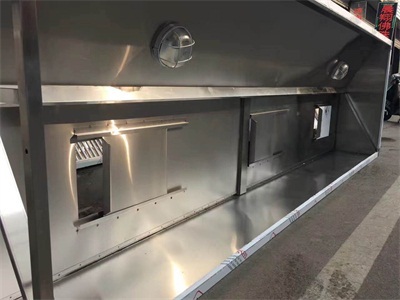 Reason: The whole kitchen exhaust hood ducts are eventually concentrated in a large ventilation duct system, with a large soot purification equipment and a large exhaust fan exhaust. Result If a kitchen stove is used, the exhaust fan and the lampblack purifier must be turned on. In this way, not only the exhaust fan smoke exhaust function is not good, but also the power consumption is very large. In high-end hotels, the annual kitchen ventilation power consumption accounts for about 2.8% of the total annual use. Solution: According to the actual situation, it can be divided into two or three systems, or variable speed exhaust fan is selected to be fully opened at peak load. The peak period of kitchen stove use is about 4 to 5 hours, while other periods are production, processing and preparation in advance or hygiene management time, without large exhaust volume. 1. A part of air return is used for air treatment. 2. Fan coil unit is selected. 3. There is no air supply system in the kitchen of the hotel, but a single industrial air-conditioner. In less than a year of use, the efficiency of the hotel kitchen is greatly reduced, which makes the environment temperature of the hotel kitchen too high. Reason: These machines and equipments have water-cooled surface coolers or direct evaporative surface coolers. The gas in the hotel kitchen directly contacts with the cooler, and the oil mist will quickly pollute and block the air gap of the fins on the surface cooler, which will greatly reduce the exhaust air volume, resulting in the hotel kitchen environment temperature is too high, and the actual effect is poor. Solution: In the fresh air supply system of hotel kitchen, return air can not be used. Only DC system is used. According to the outdoor conditions, it can also be used as a DC air conditioning system or a DC air supply system. Window or cabinet air conditioners are not suitable for use in Hotel kitchens. Question 3: Cooling with fan coil unit in kitchen is unsuccessful. The hotel kitchen is equipped with stove exhaust system and fresh air supplement system, as well as fan coil cooling system. When it was built and put into operation, the actual effect was quite good. After one year, the ambient temperature could not fall down. Sometimes it was above 35 degrees Celsius, and the staff could not bear it. Reasons: After inspection, it is found that the oil mist and water vapor in the kitchen of the hotel are large, especially the kitchen oil fume after gas combustion adheres to the surface layer of the fan coil, which greatly reduces the heat transfer coefficient and makes the refrigeration effect worse and worse. 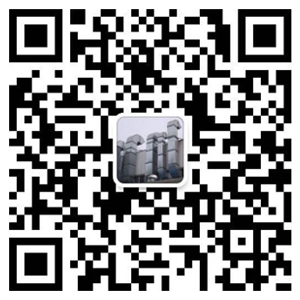 The above content is the kitchen ventilation and smoke exhaust system may appear several problems, as well as the corresponding treatment methods. The kitchen ventilation and smoke exhaust system is essential for the kitchen. If you choose to train in the kitchen, you must pay attention to the details, because the biggest function of the kitchen ventilation and smoke exhaust system is practical, so you must wipe your eyes to prevent cheating.